Home »Who are the Modern Shepherds? Target Browsing has been used to sculpt landscapes by man for eons, and wildlife have been doing it so much longer than us. Cowboys that settled the west mastered the art of Target Browsing, and like other lost arts of the past, the modern version and name have become more domesticated. Known today by ranchers as “Land Stewardship”. It can not be learn’t from tablets or YouTube videos; it is a craft mastered by spirit and intuition…an art. Over the years the style has evolved but two things remain the same; One must have a knowledge of the land and a dedication to the animals. Our modern shepherds work in a network of business owners that are bringing target browsing back to life. Starting in forestry cut blocks in the 80’s and 90’s, Target Browsing started making its come back in Alberta. In the States there are over 70 companies. 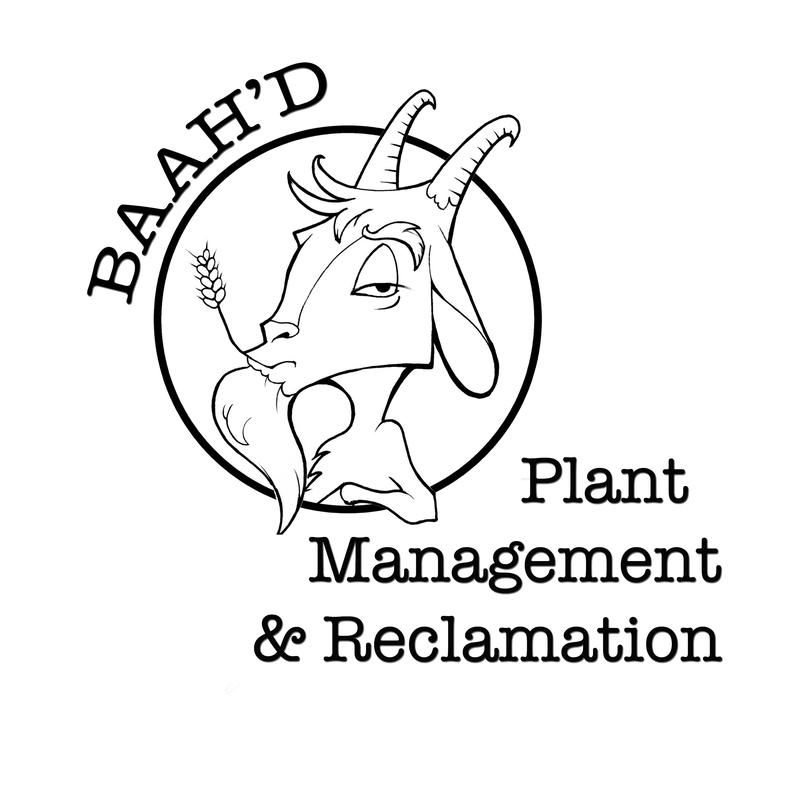 Jeannette Hall, owner of Baah’d Plant Management & Reclamation is bringing Target Browsing to Alberta communities. She has a strong background in the Environmental industry working for Government, NGOs and the private Oil and Gas sector. Her intimate knowledge of Alberta’s flora and landscapes makes her the best modern day shepherd. Who is the Modern Shepherd? I aim to provide Commercial, Urban and Rural landowners a non-toxic, environmentally responsible and risk-free weed control method that promotes biodiversity, sustainability and has no adverse effects. In 2001, nearly 5 billion pounds of chemicals were used worldwide to kill weeds and insects; only 5% reached its destination. Today studies show that glyphosate, the chief ingredient in Roundup, has been shown to cause Infertility, Birth Defects, Cancers, Parkinson’s, Autism, Alzheimer’s, Diabetes, overall negative impacts on bodily function and resistant bacteria and plants. The EPA reports in 2007, 185 million pounds of glyphosate was used by U.S. farmers. It is apparent that we are in crisis. Agriculture and Forestry. The billions of dollars lost each year due to invasive weeds and the billions now spent on healthcare as a result of chemical exposure are evidence that we are fighting a losing battle. It’s time to change our strategy. Target browsing is a form of organic weed management that can be a solution to all of these problems. Target browsing has been used for thousands of years, it’s far more effective and costs 1/3 to 1/2 the price of mechanical and chemical management. I was first introduced to target browsing when I was working on a Nature Conservancy of Canada site just south of Calgary. Then, I was the Habitat Coordinator and had been conducting several studies and monitoring programs on invasive plants. I understood the value of target browsing and began to master the art of land stewardship. several sites were not meeting reclamation certification criteria as a result of weeds. This was creating higher legal liability ratios (LLR’s, a ratio between a companies environmental liability costs and the companies worth) for companies and shrinking the amount of leases companies could own, which in turn hurts the production rates. Companies pass these otherwise perfectly safe sites from company to company. We can offer a solution to remove the liability and increase production, as well as satisfy the demands of landowners. In chats with several landowners I noticed consistent complaints regarding the effectiveness of chemical sprays. For example, leafless plants like tansy and scentless chamomile are not affected by chemical sprays because the mechanism in the plant biology that chemical sprays use is non-existent. Weather, slope, water bodies, plant mutations and human error all influence the effectiveness of chemical spraying. Another example is the impacts on soil pH and nutrients resulting in crop loss, cost for amendments and habitat creation for new weeds. sharing the word about target browsing.